The corsair spirit will seize your trampoline with this set of 6 pirate stencils to use with chalk spray. Turn your trampoline into a giant blackboard! 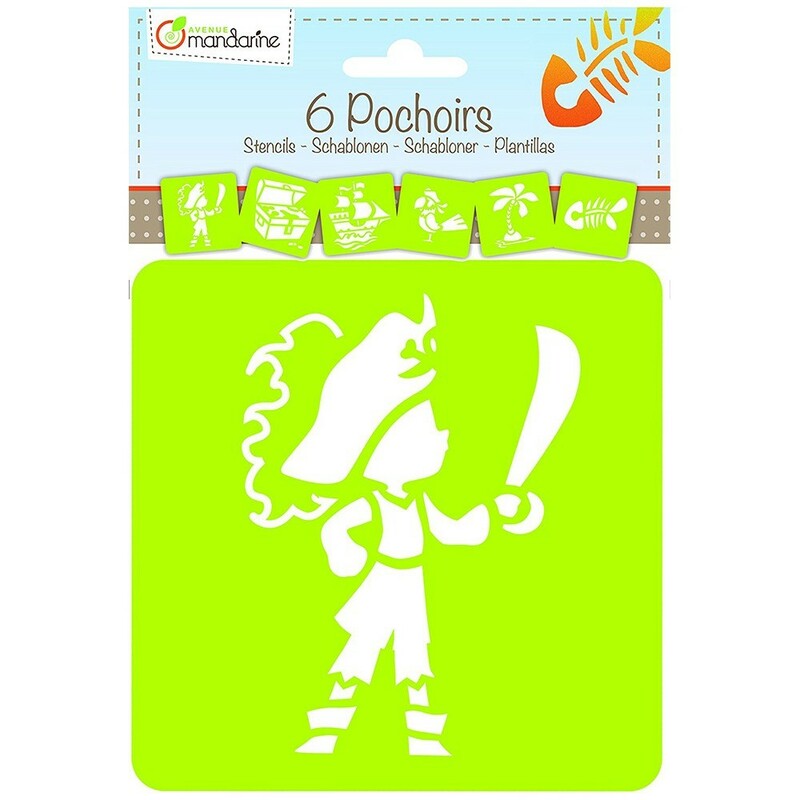 These 6 pirate stencils are easy to use with our easy to use cray sprays (sold separately), writing just became a fun game! - The can be used on your trampoline's jumping mat with cray sprays, or on paper or other supports with pens, paint or crayons. 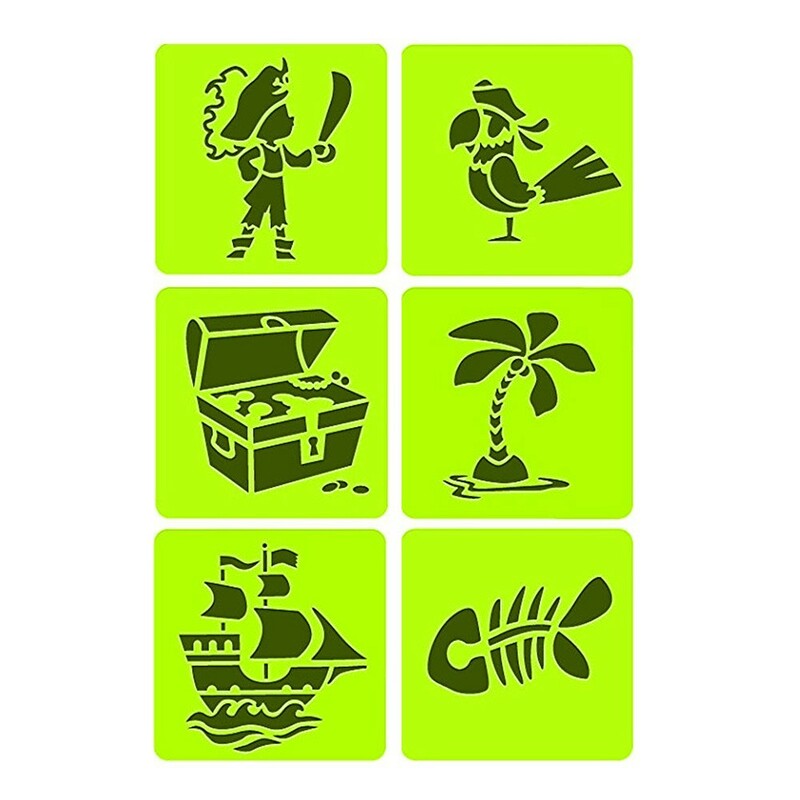 - Pack of 6 matching stencils 15 x 15 cm, following a pirate theme with boats, desert islands, treasure chests. Sail the seven seas on your trampoline! - Easy to use and washable in soap water. The creative support by excellence.